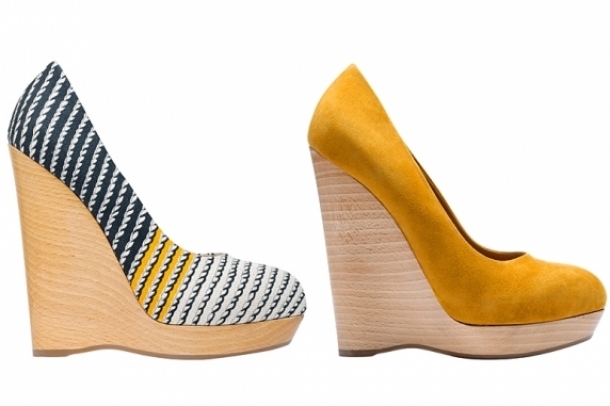 Yves Saint Laurent Resort 2012 Shoes. Stefano Pilati joined the pack of visionary designers when creating the Yves Saint Laurent Resort 2012 shoe collection loaded with nautical effects and oh-so-popular sea prints. Build up your catwalk ready cruise outfit to showcase your trend-awareness. Looking on-trend during the resort season is a desire that tops your wishlist? Then take a fashionable turn for modern accessories and pamper your visual sense with the Yves Saint Laurent Resort 2012 shoes collection. High class meets Mediterranean elegance in the style vision of Stefano Pilati for the upcoming hot months. Signature cruise elements are teamed up with the loveliest poppies that add a unique vibe to the complete collection. Fashionistas have the chance to wear footwear models decorated with floral prints to emphasize your cheerful and feminine allure. The beloved designer revealed that, “I’ve always been kind of obsessed, but I thought I’d never use it for a fashion show. But then I had a book, which had a lot of poppies, and I went to the [Italian] countryside and there were a lot of poppies.”. The charming accessory designs keep aspiring trendsetters on their toes. It's time to embrace their feminine and elegant side to pick the most flattering and breathtaking accessories. Live out your wildest style fantasies by matching the gorgeous YSL resort platform sandals with casual chic or party-perfect ensembles. Do you want to know what's hot in Hollywood and the catwalk and how you can nail down the 'it-est' trends? 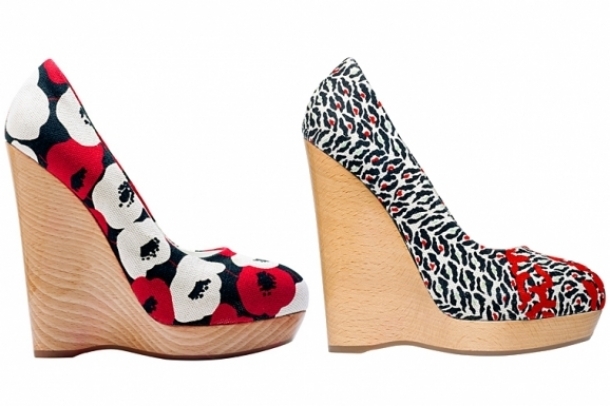 This shoe collection lines up a myriad of pumps, wedges and sandals you must wear during the upcoming season. Style gurus will assure you that you just can't go wrong if you decide to rock one of the nautical style and ultra-sophisticated shoes presented below. Stefano Pilati succeeded in earning world-wide success with his true-to-the-YSL-legacy attitude. Jelly shoes and the fabulously beaded Palais sandals inject a playful and more spontaneous vibe into the classy shoes repertoire. Neat silhouettes with an ultra-modern flair will make every fashionista sigh. The color palette preserved the ultimate nautical shades like red, blue and ivory.